One World Media has a humble history. We began offering video services in 1987 in Colorado inside a double-wide trailer. With a vision of being able to provide full-service videos to individuals, corporations, and small businesses, we continuously pushed the boundaries of what we can provide. 4 years down the road and we were able to increase our manpower to 22 dedicated staff and production members. 30 years of experience has given us the opportunity to work with various video projects. 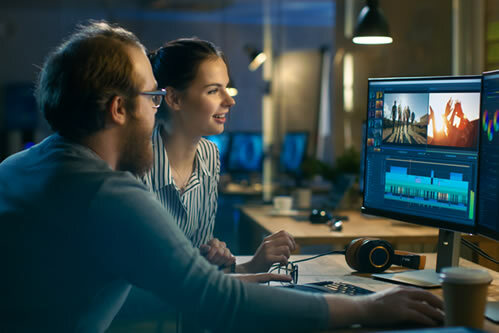 From analog to digital, from VHS to BLU RAY, we have the knowledge and skill set to see that your projects are done properly from start to finish. Hard work and dedication have made us one of the most trusted companies for video services in the country. We now handle a wide range of projects and offer the following services to our clients all over US and even abroad. We make it a point to listen to your needs and provide you with suggestions and insights to help you think big and outside the box. We take into account your own ideas and incorporate them into the production; collaboration between you and us is what it’s all about. We want to produce your vision and we believe that your input is key to its development. We use only the best in video equipment to get those shots looking like a box office hit like Panasonic VariCam 4k and Sony HD 1080p to give you the best quality videos you deserve. We provide free consultation services for your envisioned projects. If you are in need of a visual solution, don’t hesitate to call us for any inquiries and estimates. From concept to completion, we see to it that we provide you the professionalism and reliability that you need. Don’t settle for anything less than perfection, choose the company that you can count on, choose One World Media.